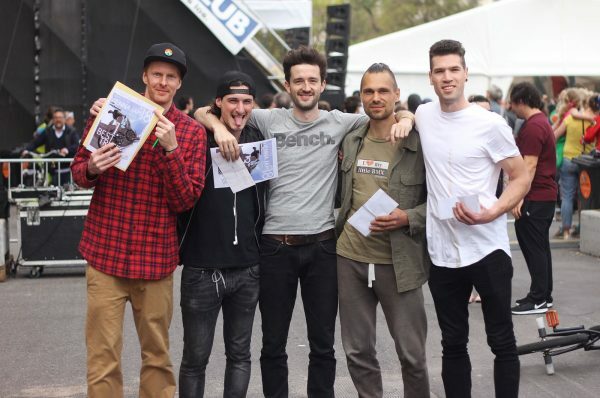 The Vienna jam went off this past weekend, organised by Sebastian Grubinger. The jam takes place on the Rathausplatz in the Vienna City Centre, during Europe’s biggest bike festival with over 100,000 visitors on the weekend. Cash for tricks jam took place on the Saturday with 35 riders and 11 nations represented. On the Sunday, Dustyn Alt rode first as he had to leave directly after his run to get home for rower and nailed his amazing backwards pedal time machine line to take the win (hence why he is not on the podium shot).